The Persian Arts Festival (PAF), a not-for-profit festival, the first of it's kind in <?xml:namespace prefix = st1 ns = "urn:schemas-microsoft-com:office:smarttags" />New York City!! It is scheduled for March 2006, NYC, in conjunction with the Persian New Year, Norooz. PAF invites all Persian artists of diverse backgrounds and mediums to submit their work to be considered for our art showcases. If accepted, your work will be showcased and possibly auctioned off with half of the proceeds going to our organization and the other half goes directly to the artists. Chosen work will also be eligible for prominent placement on the PAF website as well as promotional materials, with exposure to millions of global viewers. 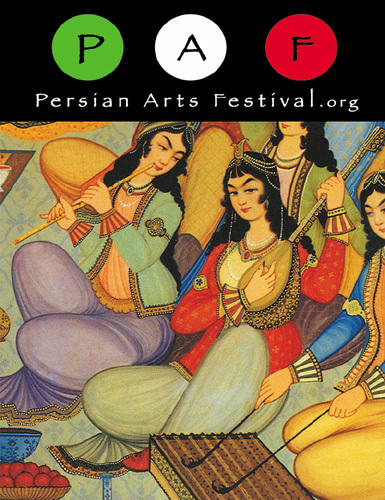 PAF is also seeking music submissions to be considered for a compilation of Persian music to be released in conjunction with the Persian Arts Festival. Music submissions may range from traditional Persian to contemporary. For those interested in submitting work to PAF please see guidelines below. A short profile about you and your work. Please include contact information, website, and details of current and forthcoming exhibitions, events, tours & apprearances. Images of examples of your work and information about each piece, such as its name, when it was created, what materials have been used and what inspired the creation. Please include details in the body of the email, or as a text file suitable for opening in any word-processing program. For images we prefer jpeg (.jpg) files, but tiffs (.tif) or bitmaps (.bmp) files are fine too. Please send art samples via email if possible and all other submissions, such as film, music & portfolios to the address below.